4th Lichfield Alternative Sheriff’s ride tomorrow! The horse led tradition may be somewhere around 400 years old, but this Saturday morning is the 4th Alternative Sheriff’s ride. Meeting at the Pinfold (junction of Pinfold Road and Stafford Road) to watch the horses go by, the bike ride heads off on a short ride back towards town for fun and free cakes. All welcome for this free event, gather at the Pinfold from 10.15am. This Sunday the latest Cycle Rides For All goes 15 easy miles to the National Memorial Arboretum and back. Meet at Freedom Cycles by the bus station at 10am for a 10.30am start. More details can be found on the Lichfield District Council website and the free ride is guided by trained volunteers. 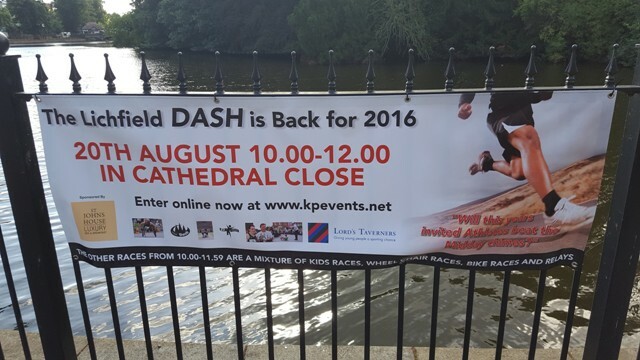 This weekend KP Events are organising the 2016 Lichfield Dash, back after a four year absence since the last race in 2012. 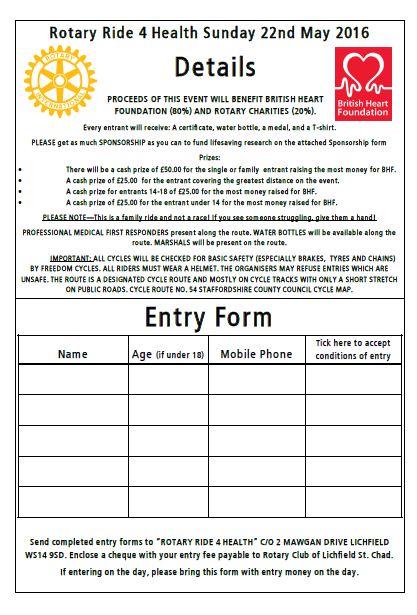 As part of the event there will be at least two cycle related races. The first will see the riders from Lichfield Fixed Gear trying to beat the 11 o’clock chimes and race a lap around the Cathedral. 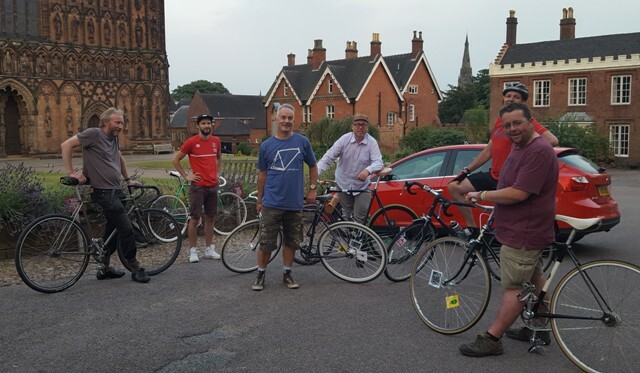 After that the volunteers from Lichfield Re:Cycle will be doing a lap of the course on a variety of bikes including a rickshaw, tall bike, folding bike, trike and as many other types of bike they can manage. The free event culminates in the race to beat the 12 o’clock chimes by the elite running athletes. 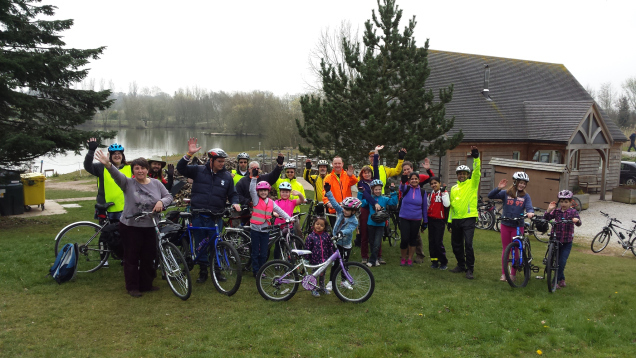 The free guided ride planned for this Sunday in Burntwood has unfortunately been cancelled. The next ride in the series takes place on 21st August to the National Memorial Arboretum, meeting at Freedom Cycles at 10am. 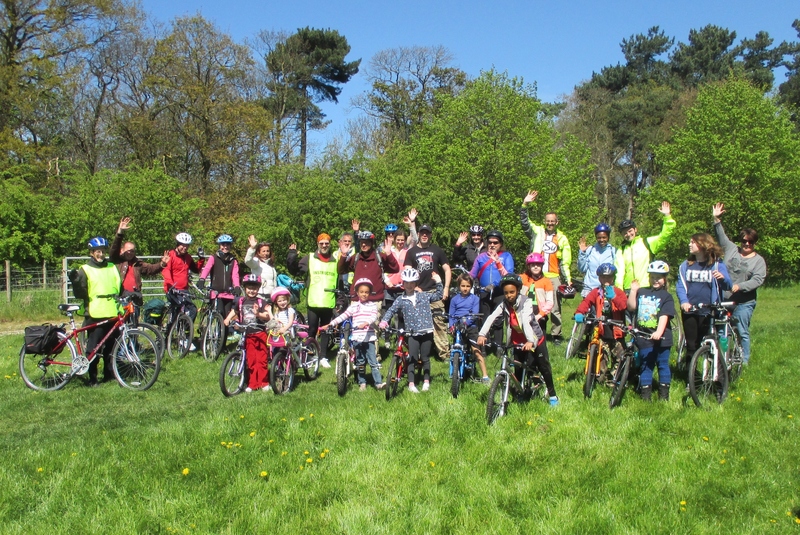 If you still fancy a bike ride on Sunday, Lichfield Re:Cycle are holding a free and family friendly event, The Lichfield FamAlley Cat in the city, meeting at the Wheelie Workshop at Minster Hall off Dam Street at 5pm. The longest, most challenging (and arguably best catered) ride of the Cycle Rides For All season takes place tomorrow. 23 miles from Lichfield via Wall, Shenstone and Weeford before a stop at Packington Moor cafe before returning via Whittington, Sittles Farm and Fradley on the way back. The ride is guided by trained volunteers and is at a friendly social pace with plenty of little stops along the way. Meet at Freedom Cycles at the bus station at 10am. 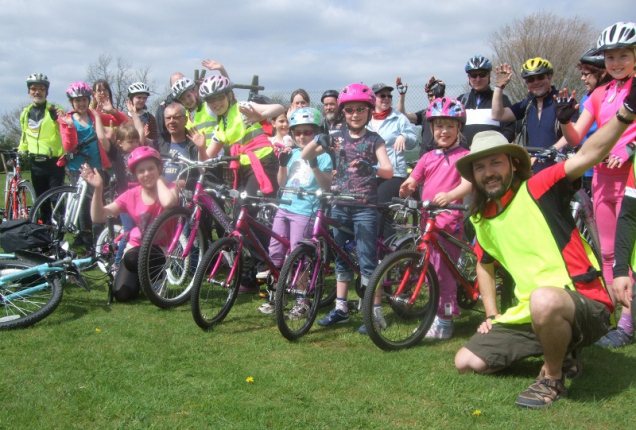 The 3rd Lichfield Jolly bike ride – this Sunday! 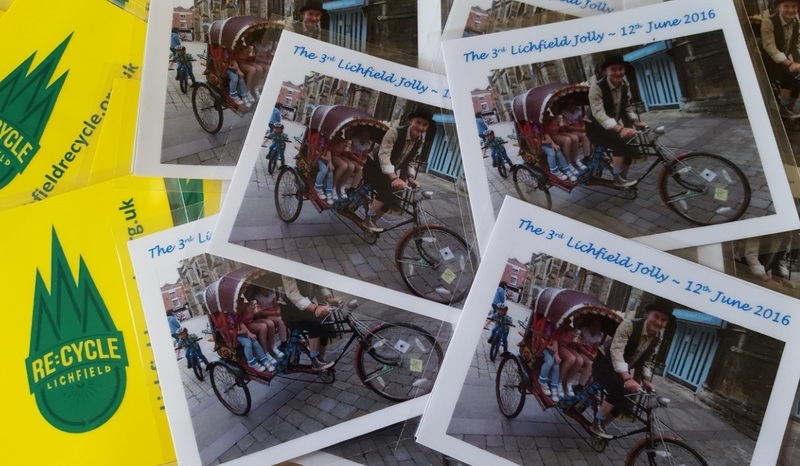 The 3rd Lichfield Jolly bike ride takes place on Sunday. People will be gathering in the Market Square from 4pm and the ride will go off about 5 o’clock. The first two rides finished at a beer garden but this year it will end at the walled garden at Minster Hall, home to supporters of the ride Lichfield Re:Cycle. All are welcome for this fun, free and family friendly bike ride. There will be a short route (1.5 miles) and a longer route (3 miles). The ride is suitable for all abilities. Come along in your Sunday best, fancy dress or just in your everyday clothes. Prize for the best effort made. 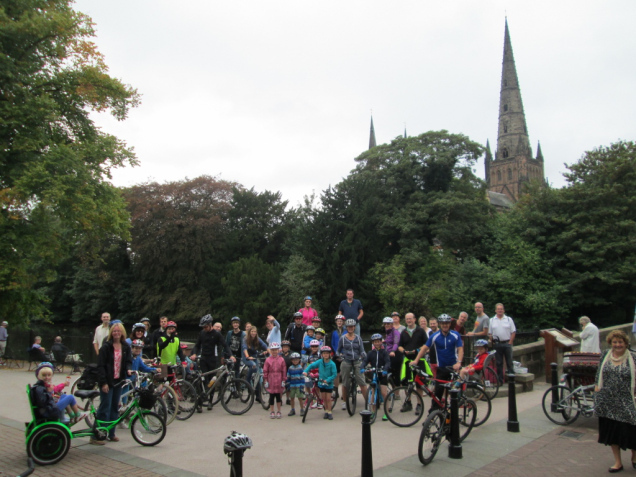 Photos from the first two Lichfield Jolly rides can be found here. This Sunday is the latest of this years monthly free Cycle Rides For All, a repeat of the new ride from last year, the Tour de Lichfield. 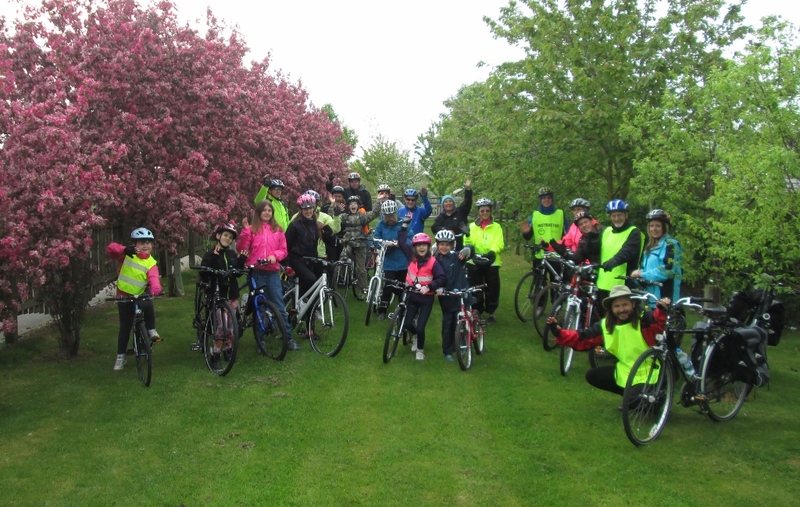 The 9 mile circular route on roads and cycle paths is a great way to explore the city cycling in a group with trained volunteers to guide the ride. Meet at Freedom Cycles by the Bus Station at 10am where your bike while be given a check over for road worthiness and the ride goes about half past at a relaxed pace. 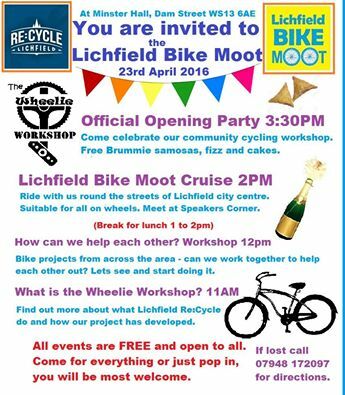 For more information call Freedom Cycles on 01543 411633 or Karl Sproston at Lichfield District Council on 01543 308846. Details of the event can be found above. If anybody is free to help out the event organisers at the start and end of the ride, you can offer your services as a volunteer via Karl on 01543 308846. 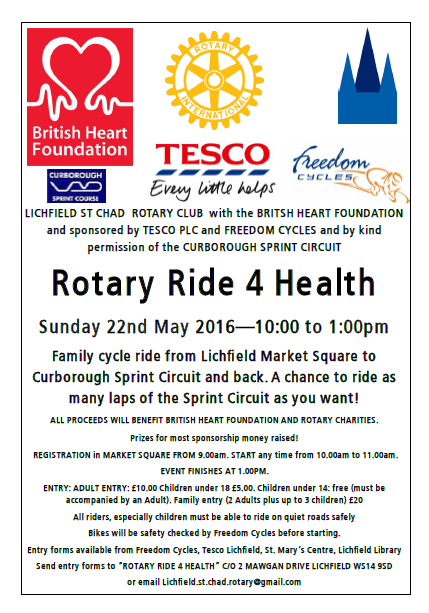 The 3rd Lichfield Jolly Bike Ride takes place on Sunday 12th June 2016. 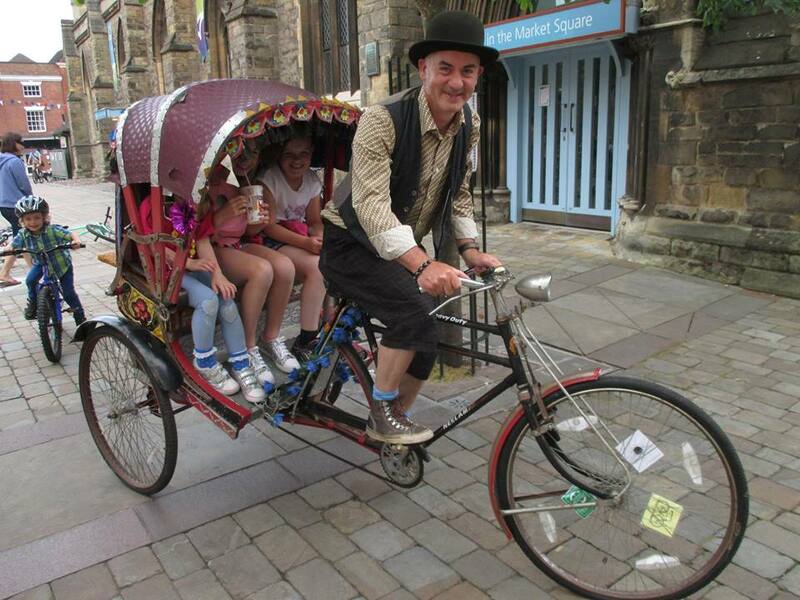 Meeting from 4.30pm on Market Square in Lichfield for fun and games, the ride will go off about 5pm. We ride for 2 or 3 miles together through the city centre streets before returning the Wheelie Workshop at Minster Hall for food and drinks. All are welcome for this fun and free family friendly ride. Fancy dress, vintage clothing or your best togs are encouraged but not essential. More details on the Facebook page. The culmination of the day will be the official opening of the Wheelie Workshop, the projects community cycling workshop space at Minster Hall. Guest of honour Abbie Pendlebury (who chose the name) will cut the ribbon at 3:30. Everyone welcome to this free event.